Discover the beautiful stories of Michael Morpurgo, author of Warhorse and the nation’s favourite storyteller Best-selling author Michael Morpurgo turns his storytelling skills to the drama and tragedy of the Spanish Civil War, illustrated by Michael Foreman. 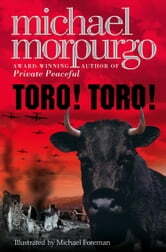 TORO,TORO is the story of a young boy growing up in Andalucia, Spain, on a farm rearing bulls for the bull ring. Antonito hand rears a little black calf and they become firm friends, but the boy doesn't yet understand the fate of the black bulls – the corrida and death. 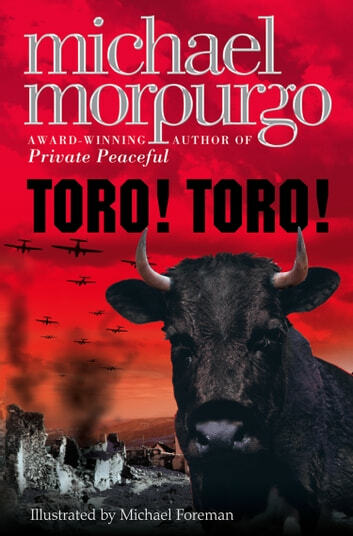 Later, when he learns of the horrors of the bull fight, he frees Paco, the black bull, and rides with him into the hills.There they witness the bombing of their village (it's the year 1936, and the Spanish Civil War has started) and Antonito cannot go back – his family and the farm are destroyed, and Paco has run off, wild with fright. He decides to stay in the hills, where he meets up with the Resistance fighters. During the War, Antonito hears stories round the campfire of the wonderful black bull, who becomes a symbol of freedom for them all. Could this really be Paco? But no-one has ever seen him. After the war, when Antonito is working as a muleteer in the mountains, he falls asleep and dreams of Paco. In the morning, he wakes to see hoof prints on the ground beside him… A delightful story, full of nostalgia and drama in the author's own inimitable style. Illustrated by Michael Foreman. Books related to Toro! Toro! It was a great book and, as usual, Michael Morpurgo made it funny and sad, silly and sensible; as every book should be. It's a short enjoable read, even if it is a bit sad. I recomed it for 8-12 year olds.